Raymond Clark rings his bell, decked out in a standard-issue Salvation Army frock and a red winter hat, “Milwaukee” emblazoned across the front. He greets comers and goers as they pass by. “Have a good day, ma’am … have a good day, guys,” he says. No one gets by without a few kind words. The army of ringers start on November 2nd and appeal for people’s charity until Christmas Eve, their last day. “I enjoy interacting with people, you know … it’s fun,” says Clark. 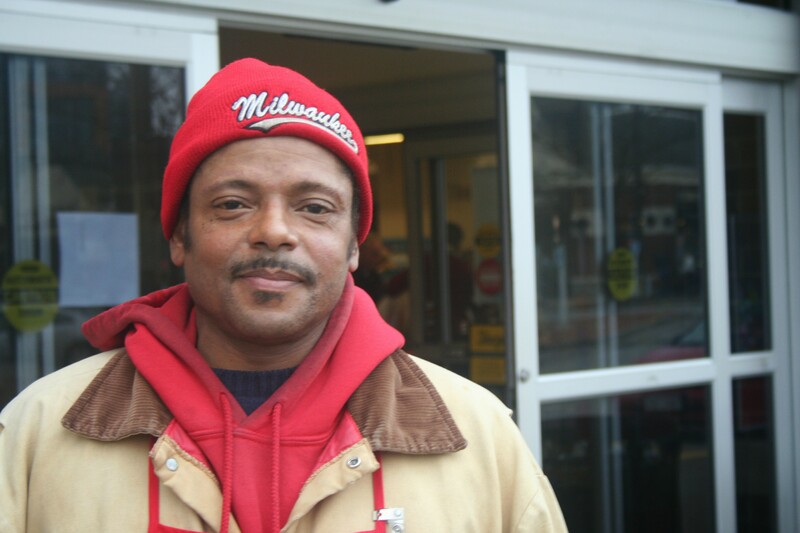 Clark, A life-long Milwaukeean who was raised on the North Side, says even though he’s looking for paying work, right now, he doesn’t mind giving his time to help others. Did you find value in Raymond’s story? If so, please subscribe to our newsletter; we publish the story of a different Milwaukeean every week.